In UEFA Champions League, Olympique Lyon is in second position, in Int. Champions Cup in eleventh position and in Ligue 1 (France) they are in third place. 69% of Olympique Lyon's football players are right footers and so is Memphis Depay. So far in the 2018/2019 season, Memphis Depay already competed in 51 fixtures. Back in 2017, Flemish forward Memphis Depay's contract with Olympique Lyon (France), the club he is still a member of, took effect. Having been born in 1994, on February 13, his age of 25 makes him senior to the average player of Olympique Lyon. Measuring 176cm, Olympique Lyon's average player height succumbs Memphis Depay by 4cm. He impressed in Ligue 1 17/18 (France), reaching his personal record of assists as well as match appearances. His shortest stay in a club was 18 months in Manchester United (United Kingdom). Memphis Depay received 24 penalties throughout his entire career (of which 23 where yellow). This leads to an average of 0.56 cards per season. In the current playtime, he caught 6 yellow cards. While being substituted more out than in this season, we can observe that this trend came from last season. However, he shows 87 out and 91 in substitutions in total. 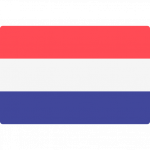 Besides playing for Olympique Lyon, Memphis Depay additionally is a member of Netherlands. 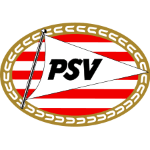 His record stay with a club is PSV Eindhoven (Netherlands) with three years and 5 months. He reached the 316 appearances milestone as a professionl, the last one being seven days ago. So far this season, Memphis Depay won 17% in UEFA Champions League, lost 67% in Int. 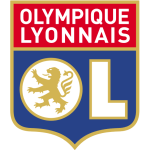 Champions Cup and won 60% of Olympique Lyon's matches in Ligue 1. They also managed to win 3 fixtures in a row in Ligue 1. 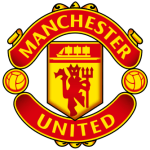 He played for Manchester United and PSV Eindhoven before ending up in Olympique Lyon. He is enjoying a great Ligue 1 18/19 (France) season so far, netting 13 times (11.5% of his team's sum) and initializing 16 goals. This leads to roughly 0.31 assists and 0.25 scores per match in the resent season. One could say he translated to a slighlty diminished form compared to last year yielding a per-match-quota of 0.42 goals and 0.27 assists. Memphis Depay is playing as forward in Olympique Lyon together with Martin Terrier, Moussa Dembele, Amine Gouiri, Nabil Fekir, Lenny Pintor, Maxwel Cornet, Reo Griffiths and Bertrand Traore. Considering he weighs around 171.96lb, Memphis Depay is approximately 10lb heavier than the average player of Olympique Lyon. He changed three clubs throughout his career as professional. He wears the number 11 strip at Olympique Lyon.